The PC version of Call of Duty Elite has been delayed and when it does eventually launch, it will have "reduced functionality" compared to its console cousins. 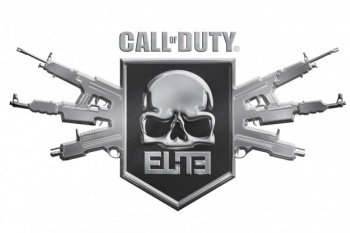 Call of Duty Elite, the multiplayer platform for games like Black Ops and the upcoming Modern Warfare 3, is slated to launch on November 8 alongside MW3. Unless you're playing on a PC, that is; if that's the case, then the only thing anybody seems to know for sure at this point is that when it finally does come around, you won't be able to do as much with it as you can with the 360 and PS3 versions. "We're as committed as ever to the PC, but the need to ensure a safe PC environment is greater than ever. It's really extensive. We need more time to get there, so Elite on PC will not launch on Day One," Beachhead Studio boss Chacko Sonny said in a One of Swords interview. "We're working our butts off to make it happen, but we won't release it until we know that PC gamers can enjoy Elite as it's meant to be." "The issue here is that the PC is an insecure platform. Without a central, trusted resource for stats, a lot of our competition features become unfair," he continued. "We can't give away prizes when people can easily cheat their stats. Leaderboards are less fun when a lot of the users are there unfairly." "Not being able to trust stats is a big problem for our design. Because of this, we had to re-imagine Elite for PC," added Product Director Noah Heller. "Elite for PC will be about access to your own stats, or those of your friends. Basically establishing a circle of trust. And because it will have some reduced functionality, it will be free for everyone." Exactly how the functionality will be reduced wasn't discussed, although Heller did state that because there's no paid option for the PC version of Elite, PC gamers won't have access to discounted DLC. "PC guys will be able to purchase their DLC content a la carte, just like it has worked before," he said. At this point, Beachhead isn't even guessing when the PC version of Elite will be released. "We're working on it, but it is not going to come out until we've done a lot more work," Sonny said. "It will be ready when it is ready."